Reflexology has been used as an effective healing tool for over 5,000 years. 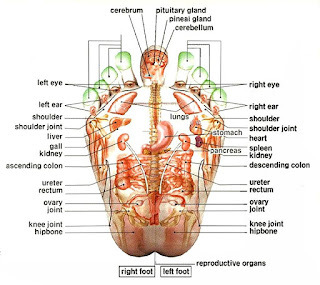 There are several theories about how it works but the fundamental concept of Reflexology is that the feet and hands mirror the complete structure of the body and that by applying precise and focused pressure to specific points called ‘reflexes’ on the hands and feet‭, a positive physiological response is registered in the corresponding part of the body. In order to remain in a balanced state of wellbeing, our life force or energy must be able to flow unimpeded through and around every cell in our bodies. If this flow becomes blocked as a result of emotional trauma, injury or stress for example, it is believed that ill health may result. It is thought that this energy may travel in superhighways around the body called meridians and scientific research over the last 30 years has proved the existence of these microscopic vascular structures.These meridian channels all begin or end on the feet and hands so Reflexology can be a very effective healing tool in helping to affect the energy flowing through these channels thereby helping to bring about balanced wellness. The human body is amazing. It has an innate healing ability and can regulate itself‭, ‬repair itself and maintain balance of all‭ ‬internal body processes‭. ‬This process is aided of course by adequate rest‭, ‬good nutrition and regular exercise‭. ‬However‭, ‬if the‭ ‬body’s basic needs are not met‭ (‬perhaps during a period of stress ‭)‬these innate healing mechanisms won’t work as‭ ‬efficiently‭. ‬ An exhausted‭, ‬stressed and depleted body may not be able to fully restore its equilibrium‭, ‬or balance without some‭ ‬help‭. 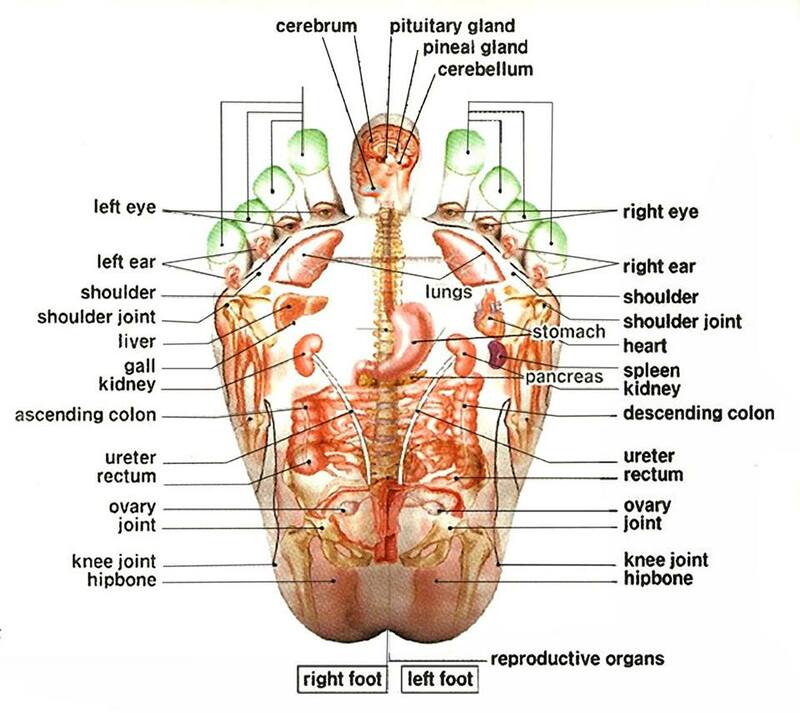 Over time‭, ‬health issues and disorders may develop such as muscle tensions‭, ‬back pain, headaches‭, ‬sleeping disorders‭, ‬blood pressure issues and digestive disorders‭, ‬to name but a few‭.‬ By working the reflexes of the feet and the resulting contact with the meridians and calming of the nervous system‭, ‬therapeutic Reflexology is able to initiate a cascade of repairing and healing messages throughout the body‭. ;While Reflexology may be used to reduce pain and relieve specific symptoms‭, ‬its‭ ‬primary purpose is to strengthen‭, support and maintain all body functions.